Sleek and sophisticated, the Opera Sofa features a decorative backrest with Rugiano’s signature quilting and hand-stitched detailing. 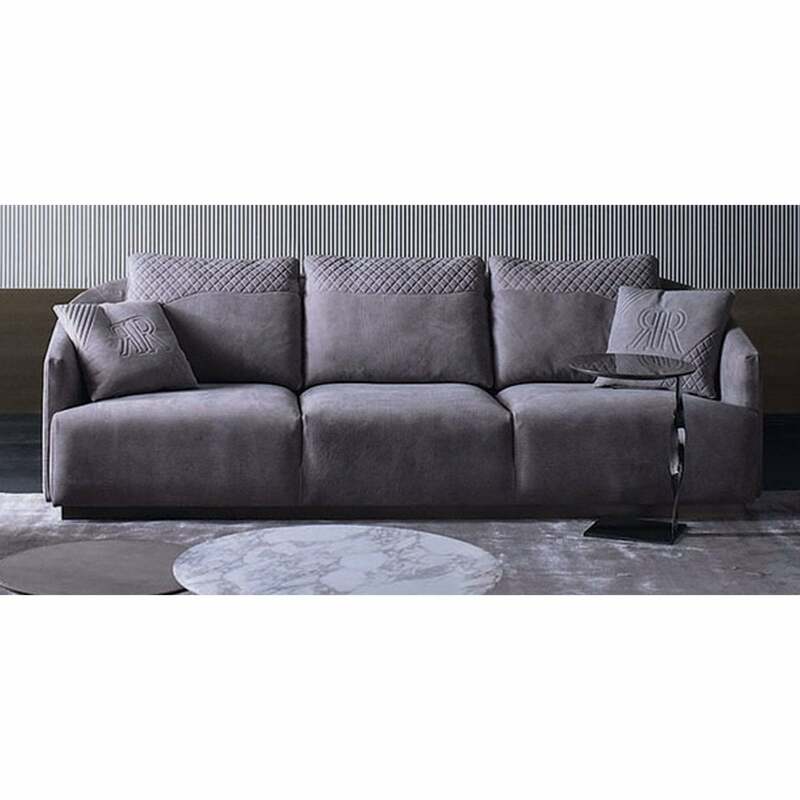 This designer sofa and lounge chair is upholstered with the finest Tessuto fabric and Pelle leather with a choice of smooth or suede finishes. A wide variety of sophisticated colourways are available (samples can be ordered upon request). Completed with intricate steel or bronze accents, this Italian sofa combines high-end materials with artisanal processes. The perfect luxury sofa for any glamorous project, Opera is available in a variety of combinations and sizes. Choose a classic three seater design or a stylish corner sofa. Get in touch with our team for more information and advice.